Flat pleated filter (PES) 69043600 https://www.kaercher.com/au/accessory/flat-pleated-filter-pes-69043600.html Flat pleated filter (PES) – BIA-C dust class M: rotproof polyester fleece, ideal for wet use and abrasives. Standard for NT 35/1 Eco BS and NT 55/1 Eco BS. Flat pleated filter (PES) – BIA-C dust class M - rotproof polyester fleece, ideal for wet use and abrasives. 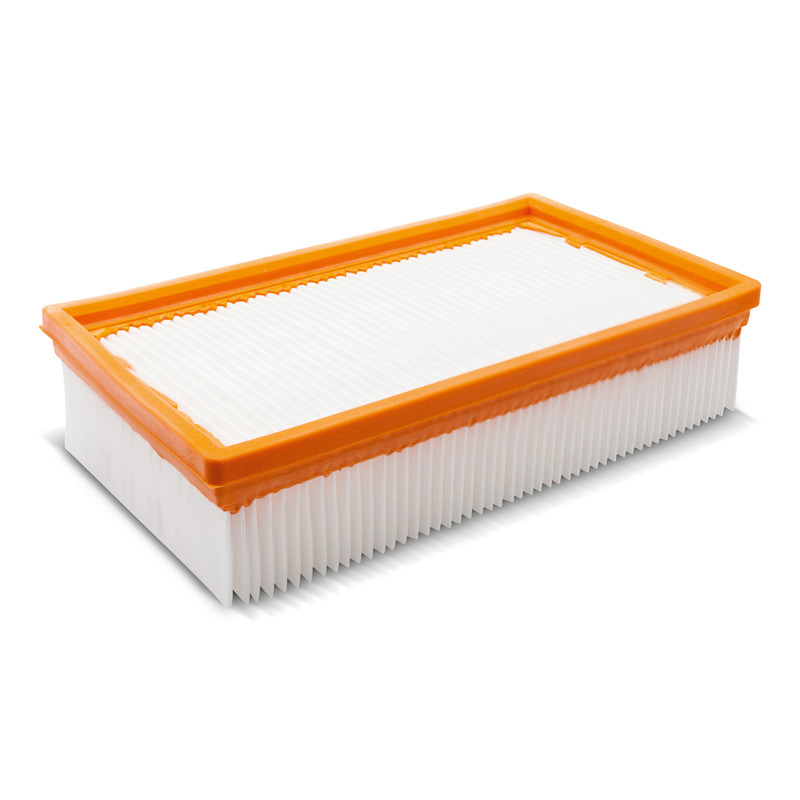 Standard filter for NT 35/1 Eco BS and NT 55/1 Eco BS, optional for all NT 361 Eco to NT 611 Eco versions as well as new vacuum cleaners such as NT 35/1 Eco to NT 55/1 Eco. Not suitable for safety vacuum cleaner NT 361 Eco H and NT 561 Eco H and NT 35/1 Eco H as well as NT 45/1 Eco H.